Spring is in the air! For many it’s a season of renewal. For OdySea Aquarium it is a new season for reducing, reusing, and recycling! 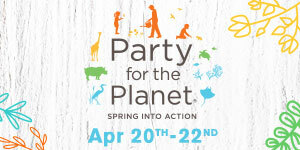 Join us for a conservation celebration during Party for the Planet. Join us for two area clean ups, hunt for six elusive conservation eggs, and leave with new ways to continue the earthly party at home. Enjoy the same great experience for less! Visit the aquarium Monday thru Saturday after 4:30pm and pay ONLY $25 for a general admission ticket, plus you get $10 in OdySea Cash per paid ticket to use for dining and shopping that same day at participating OdySea in the Desert shops and restaurants! Experience adventure and wonder for the whole family. 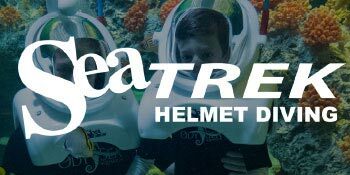 Ticket includes access to all OdySea Aquarium exhibits, galleries, OdySea Voyager and the movie featuring Underwater Giants. *Evenings will not be available 4/2, 4/15, 4/18, 4/27. Always check the website for the latest hours and date changes. This offer cannot be combined with any other offer, discount, or special event, and admission cannot be purchased with gift cards. This special event is subject to end at any time. 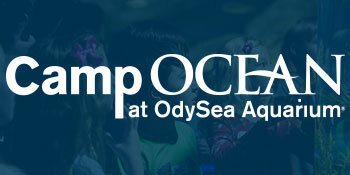 Experience the coolest summer camp in the Valley Camp Ocean! Learn all about aquatic and terrestrial animals that are dependent on the oceans and their surrounding ecosystems. This camp will explore some of the unique characteristics of animals, including their adaptations, diets, and food chain, with interactive and fun activities designed for our younger campers. Take a tour around the world exploring the planet’s diverse animal habitats and the animals that rely on them. Explore ecosystems within each habitat and learn how all of the animals within them are interdependent. This camp will provide interactive and close up experiences exploring some of OdySea Aquarium’s own amazing animal habitats. Iconic Rat Pat meets NightLife during Ocean's 19! Pop standards from the 40s will fill the aquarium. 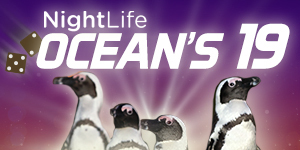 There will be animal ambassador appearances by multiple penguins! 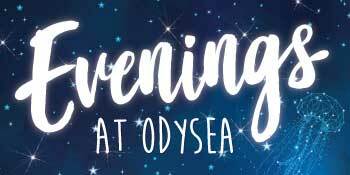 Experience the "Godfathers" of OdySea Voyager with live interpretation that highlights the "Boss" of each iconic exhibit. For a limited time, we’re slashing Annual Pass prices to make this your go-to place! 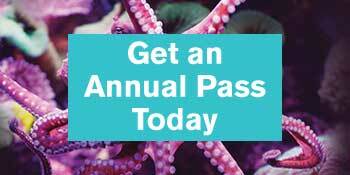 Buy Now & Save Up to 50% on an Annual Pass. Pays for itself in just 2 visits! Not valid with Costo Card or any other discount.